No need to pay more for your Invisalign! At Feldman Orthodontics, you pay the same price for full braces OR Invisalign! 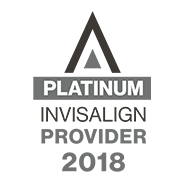 Dr. Feldman is Scottsdale and Surprise, AZ’s favorite orthodontist for Invisalign is a Platinum Provider! 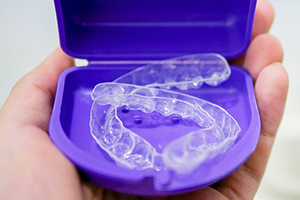 Invisalign is a tool that Orthodontic Specialists can use to move teeth in amazing ways! It’s the doctor’s expert diagnosis and treatment plan that gives you the desired results you are looking for. Let’s face it, both adults and children can feel self-conscious about wearing braces. Invisalign offers you the ability to achieve the same results as traditional braces, but without your friends and loved ones noticing. This innovative treatment option helps adults that often speak in public or are in the media, as Invisalign is a discreet way to straighten your teeth. 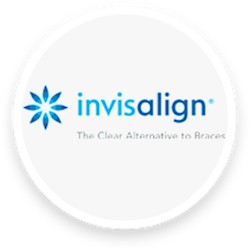 Take our Invisalign Quiz to answer some questions about being a candidate for Invisalign! Dr. Feldman is Scottsdale and Surprise, AZ’s favorite orthodontist for metal braces. Traditional metal braces today aren’t the same as they were 25 or even 10 years ago. Feldman Orthodontics doesn’t use your traditional metal braces, but rather hi-tech braces that comfortably transform your smile. Enjoy changing the color of your elastics to match your personality! Metal braces are still an accurate and proven science to straightening your teeth and improving your dental health! Ceramic braces are clear braces that are strong and stain-free. They offer a clear alternative to traditional metal braces. Adults and some teens choose ceramic braces because they are a more aesthetically pleasing or discreet orthodontic treatment option. We believe that you should live your life with a smile that you truly love. Clear braces help you achieve your spectacular smile, while blending in with your natural smile. Get started with ceramic braces today with our same day appointment option. Come join the Retainer Club! 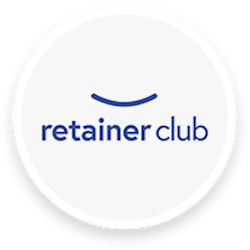 Feldman Orthodontics is proud to offer you membership in our exclusive Retainer Club. You you now have countless options to choose from after you complete your orthodontic treatment. Bonded, clear and traditional style retainers are just a few of the options thatDr. Feldman may recommend. Invest in the longevity of your new smile with our Retainer Club! Other orthodontics offices in Arizona offer “all inclusive” programs only for you to be stuck with owing hundreds of dollars to your orthodontist later. Dr. Feldman understands the financial investment involved with braces and orthodontic treatment, this is why we include a retainer with your treatment. At Feldman Orthodontics, we offer various types of retainers, designed to meet your needs and will help you find the retainer that best fits your lifestyle. Creating a lasting relationship with our patients is our number one priority. Our aim is to serve you, even after orthodontic treatment! 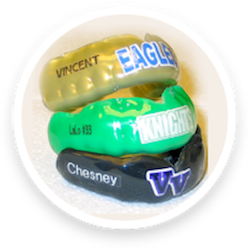 Feldman Orthodontics has been creating custom NFL-quality mouth guards in Scottsdale and Surprise, AZ! These innovative mouth pieces are customized to fit comfortably in your mouth. Experience the highest level of performance and protection with custom performance mouth guards. Dr. Feldman encourages his patients to adequately protect their teeth, tongue, jaw and face when engaged in sporting activities. 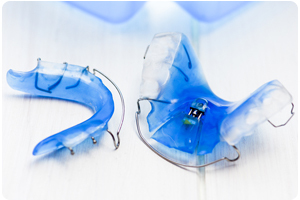 A mouth guard is one of the most important pieces of sports equipment available on the market today. Dr. Feldman offers patients something that cannot be purchased over the counter. 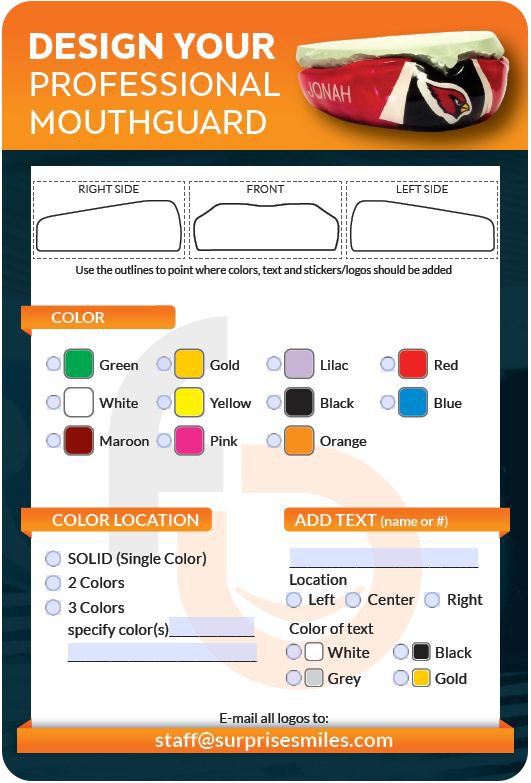 He can help you customize the color and even the text and team logos on your mouth guard. To find out how Feldman Orthodontics can set you up for success, call now! Please take a moment to watch the before and after videos below. You will see some examples of the smile transformations we perform each day at Feldman Orthodontics. "Dr. Feldman and his staff are so passionate about their work! I'm not sure if it's even "work" to them; it's more like a heart-felt mission to help people feel confidence in their smiles." "The staff is so friendly, Dr Feldman is caring and the atmosphere in the office is so comfortable. Close to home and great plans for treatment that is affordable." "Feldman Orthodontics was a great experience for my daughter. We were in treatment for 2 years and always had great service and very friendly we would check in and be called back within 5 minutes would recommend Dr. Feldman to friends and family." "Such a great staff! We are so happy here. It's close to home, affordable and such a professional staff. Visits are always on time and quick. Love!" "Dr. Feldman and staff are always so kind and helpful. I like the office cleanliness and kid friendly setting. I have been to 3 orthodontist in my life and Dr. Feldman and staff tops them all. I highly recommend his practice!" *The reviews listed are from actual patients of Feldman Orthodontics. Individual results may vary. Reviews are not claimed to represent results for everyone. Dr. Feldman of Feldman Orthodontics offers the most advanced braces for children, teens and adults, including metal braces, Invisalign, Invisalign Teen and clear ceramic braces. We can even help you achieve your confident smile 50% faster! 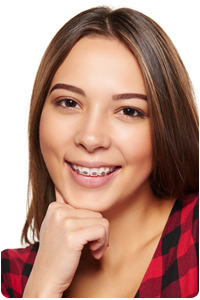 Call 623.544.1334 today for your free consultation for braces at either our conveniently located orthodontics office in Surprise, AZ or our orthodontics office in Scottsdale, AZ. Come experience Feldman Orthodontics and you will see we offer innovative and effective orthodontics with a smile to patients in and around Surprise, AZ, Scottsdale, AZ, Glendale, AZ, El Mirage, AZ, Waddell, AZ, Peoria, AZ, Litchfield, AZ, Phoenix, AZ and Paradise Valley, AZ!